← You Know You Are a Unionista If….. Here in North Carolina you are able to vote at a polling location if you have already registered as long as you claim that you who you say you are and live where you say you live. No requirement to prove you are who you say you are or that you live where you say you live. Just show up. State your name and address. Sign on the line. A new law working its way through the legislature is looking to change all that. A North Carolina drivers license issued under Article 2 of Chapter 20 of the General Statutes, including a learner’s permit or a provisional license. A special identification card for nonoperators issued under G.S. 20‑37.7. 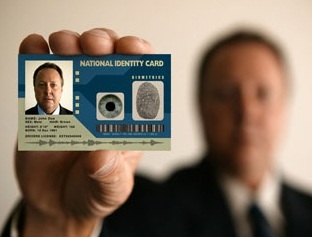 A valid identification card issued by a branch, department, agency, or entity of this State, any other state, or the United States authorized by law to issue personal identification. A valid employee identification card issued by any branch, department, agency, or entity of the United States government, this State, or any county, municipality, board, authority, or other entity of this State. A valid United States military identification card. A valid tribal identification card. A valid North Carolina voter identification card issued under G.S. 163‑166.13. The response from the Left? – 114,000 matched except for a variation in name (e.g., women who changed their last name). – 460,500 are Active registered voters with no indication of a NC current and valid ID. Out of the 6.1 million registered voters, 5.6 million are Active. This analysis compares the demographic profile of 460,500 Active voters who lack ID with the 5.6 million statewide. The study fails to check and see if those 460,000 folks have any of the other ID listed as valid. However, the argument that we don’t have a voter fraud problem here in North Carolina DOES resonate with me. I don’t think we do. But the problem is this, registration fraud DOES exist and the Left fails to acknowledge that. Combine this with the fact that many people feel folks who are in this country illegally are benefiting from our national infrastructure. These two problems, in tandem, are responsible for this legislation. There is no boogie man out there wanting to prevent people from voting. Heck, I don’t even buy the numbers in the study. After all, you need an ID to purchase Sudafed and the State even wants folks to provide ID to pick up prescriptions. If we were REALLY worried about discrimination, we would be discussing how people who don’t have an ID can get basic medication. This entry was posted in Government, Politics: North Carolina, Race and tagged Democrat, North Carolina, North Carolina Politics, Politics, Republican, Voter ID. Bookmark the permalink. My colleague who specializes in American politics argues that there is very little evidence that voter fraud is a problem or that ID checks would make a difference. However studies are very clear that they will diminish voter turnout, especially among minorities and the poor. He believes it’s less an effort to stop fraud (which isn’t a problem) and a more an effort to suppress votes. I won’t make a judgment until I see the studies, but I think we have to be careful before doing anything that actually reduces (legitimate) voter participation. However studies are very clear that they will diminish voter turnout, especially among minorities and the poor. This is fascinating. I fail to understand how that’s possible. How do minorities and the poor not have ID? Especially the poor. Literally, how do they collect the assistance they get? As I know it in Nevada, it’s entirely through their social and a bill or two that’s in their name for most things. They’re trying to crack down on this, but it runs into anti-discrimination arguments and there’s always cracks in the system. There are also the illegals who use a Taxpayer ID # rather than a social, and have no ID really to speak of, but they’re trying to get them to have at least a driver’s license so they can safe and qualified on the road – since they’re going to drive illegally anyways (I reserve my comments on that for the time being). Keep in mind, too, that the poor often want to be harder to find than easier to find, so the less ID the better. As I know it in Nevada, it’s entirely through their social and a bill or two that’s in their name for most things. Well…okay. So these folks are able to obtain government handouts without providing a picture ID? And, to be clear, the NC legislation allows absentee voters to vote with a utility bill. I suspect that this is closer to the truth. There is no one that wants an ID that can’t get one. No one. Yep, and I’ll go you one further – people who are illegal shouldn’t have or be allowed to receive domestic ID of any kind, yet they get it just because someone feels sorry for them. I know in Nevada, the answer is “yes”.